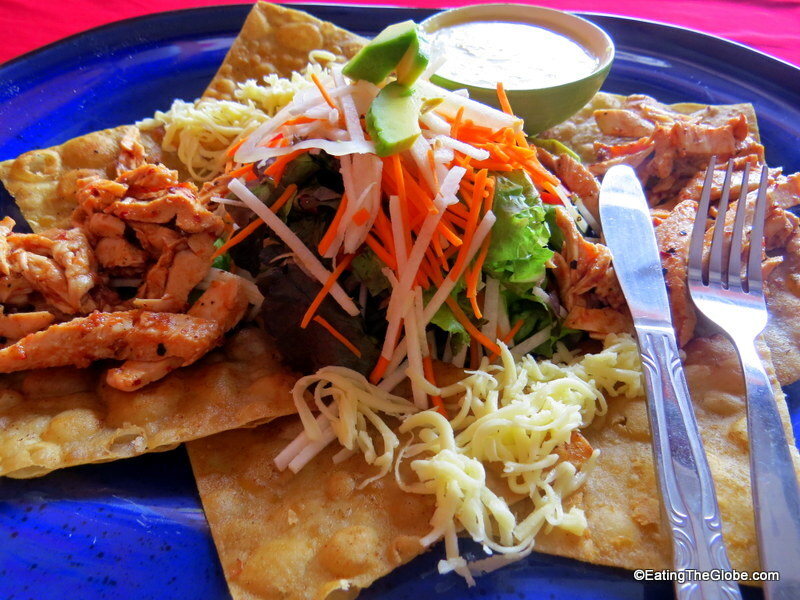 Having lived in Mexico before moving to Chiang Mai, I grew to love Mexican food even more than I already did. It’s definitely my favorite food. 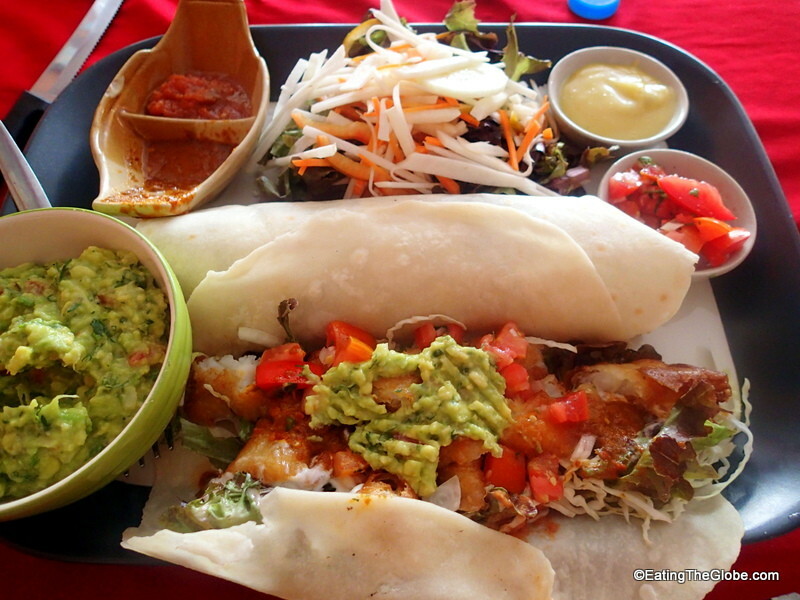 Looking for the best Mexican food in Chiang Mai, I ate at El Diablo’s Burrito, Loco Elvis, Miguel’s, and The Salsa Kitchen. 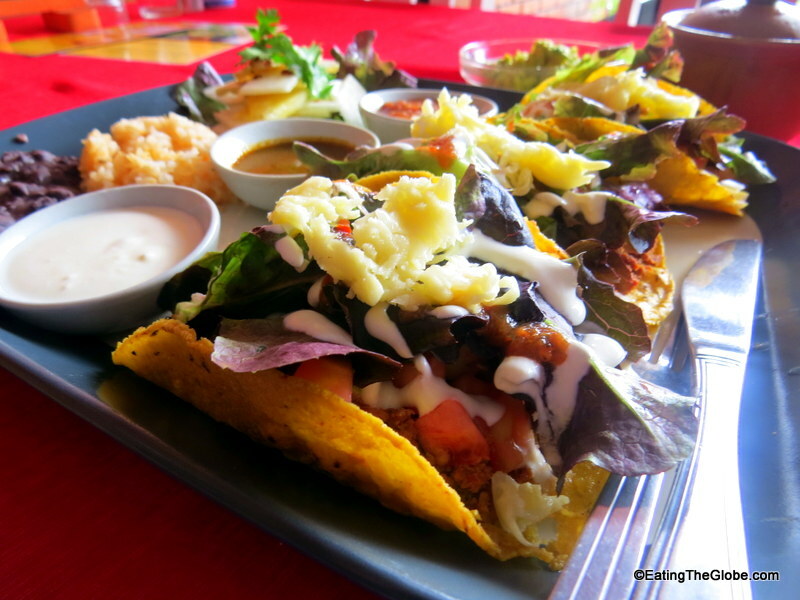 My vote for the best Mexican food in Chiang Mai goes to Salsa Kitchen. I found that Salsa Kitchen was heads and shoulders above the rest of the Mexican restaurants in Chiang Mai. They use organic pork for their pastor and pork chorizo. They make their own tortillas and salsa. They try to use locally sourced products when they can. They smoke chilies over mesquite for sixteen hours to make their chipotles. They have a gluten-free menu. Everything is so fresh, and while it isn’t as authentic as the food in Mexico, it’s the most authentic you will find in Chiang Mai. I love that they fry the tortillas themselves for the crunchy tacos, rather than using taco shells out of a box like most other places. Also, they use a pork chorizo for the taco filling which I like better than ground beef. It’s spicy and flavorful and really makes these tacos. The pineapple-jicama salad served on the side is refreshing and delightful. 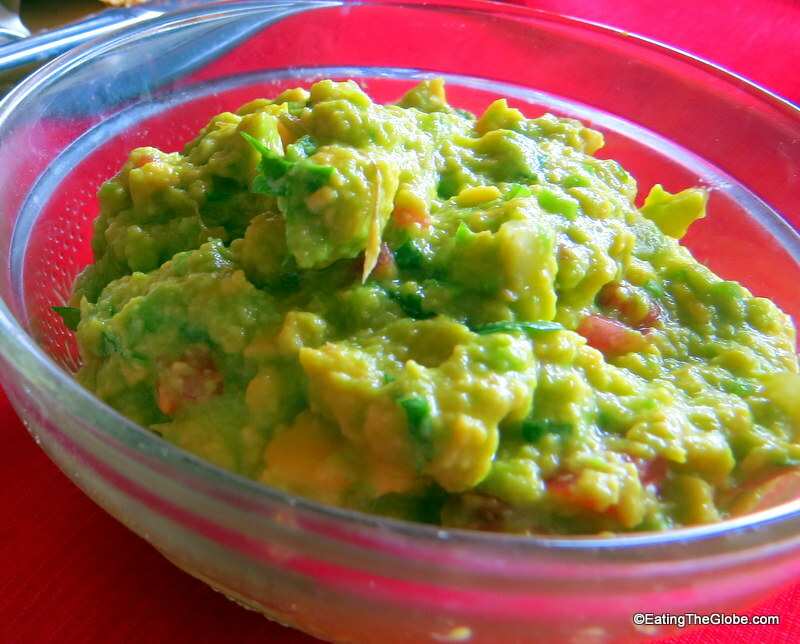 During avocado season, you can get a side of guacamole made to order for only 39 baht or about $1.20 US. It costs that much just for the avocado at the grocery store! You can also get the guacamole with house-made chips for 99 baht. Almost everything I’ve had at Salsa Kitchen has been excellent. The chicken for the salad and the fish for the tacos were both cooked perfectly. The cream sauce for the enchiladas overshadowed the chipotle flavor, but they were still good. The only thing I didn’t like was the way they made their nachos. They make each one individually instead of serving you a pile of nachos. This results in them being very soggy with no crunchy nachos under the soggy ones. The pastor they used for the topping had great flavor, though. 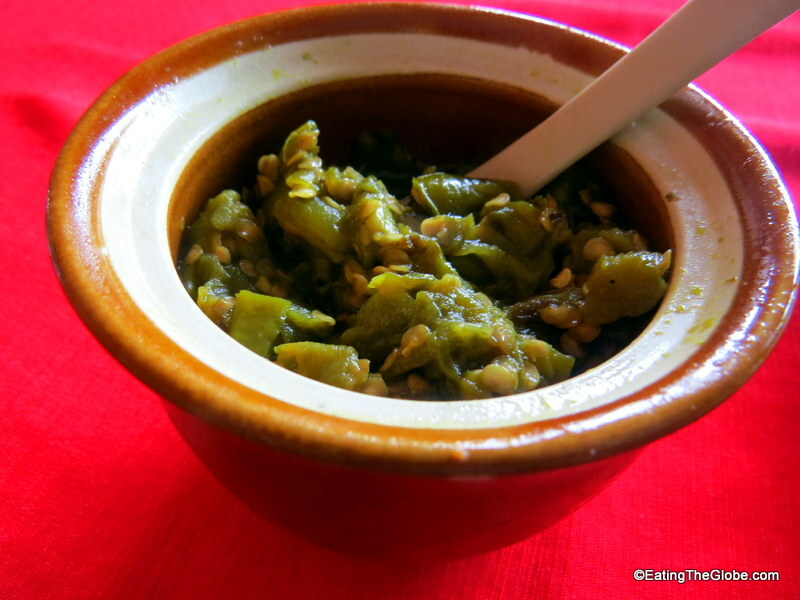 Each order from Salsa Kitchen is also served with roasted chilies which are so good and really make the meal. 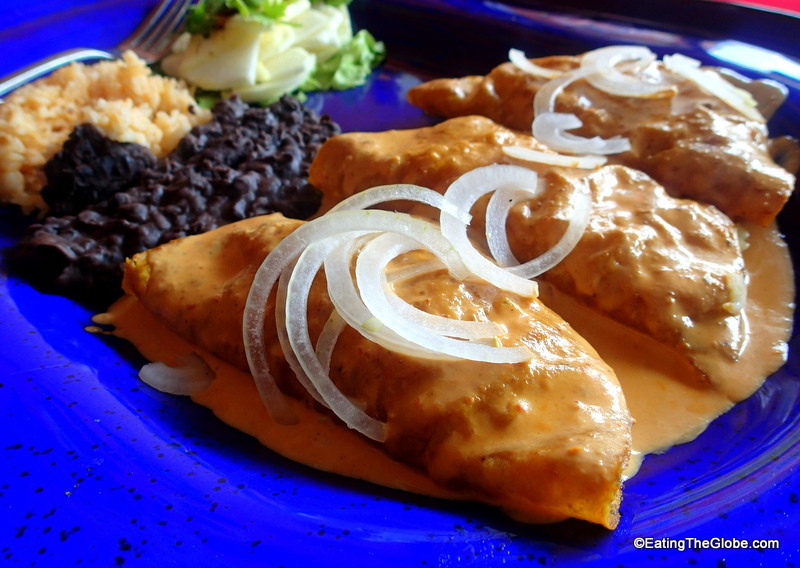 Salsa Kitchen has a huge menu selection and offers items like black bean fritters topped with shrimp, flautas, chimichangas, Mission-style burritos (with Adobo chicken or red chili braised pork or chicken), and chipotle-sweet potato quesadillas. They also have dessert, but I’ve always been too full to try it. But you can get margarita pie, homemade ice cream with berry sauce, and Mexican dessert coffee. Menu items average around 179 baht or about $6 US. I have yet to try a margarita at Salsa Kitchen. I got so spoiled by the margaritas served in San Miguel de Allende, that I’m afraid to have one outside of Mexico. But, they serve margaritas by the glass for 99 baht (about $3 USD) and by the pitcher for 359 baht ($11 USD). You can also get mojitos for 89 baht. The bright Mexican colors of the walls and the dishes make you think you are having a fiesta in Mexico. Especially when combined with the Mexican mariachi music they play which adds to the fun atmosphere. 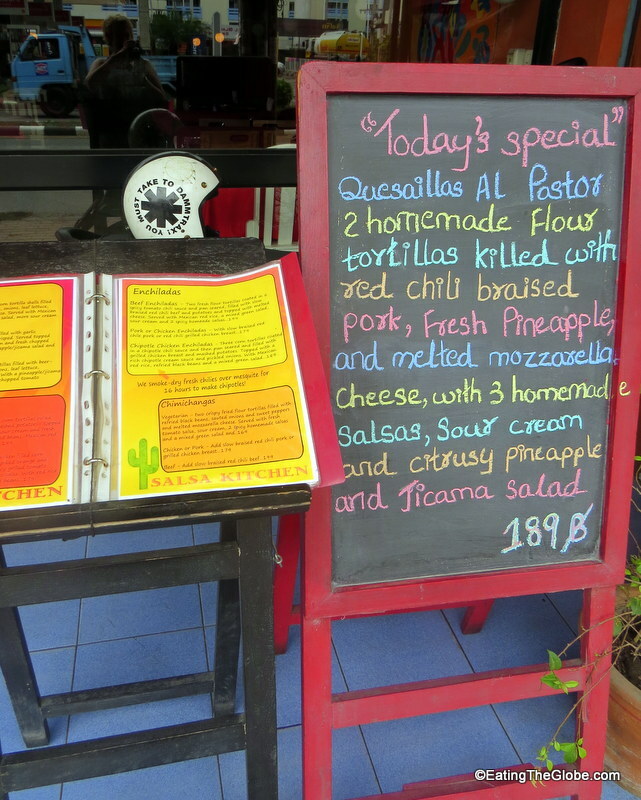 If you’re looking for the best Mexican food in Chiang Mai, look no further. Salsa Kitchen is where it’s at. 26/4 Huay Kaew Road. Just down the street from Central Kad Suan Kaew shopping mall and across the street from the Shell Gas Station (free parking at Shell Station for customers). 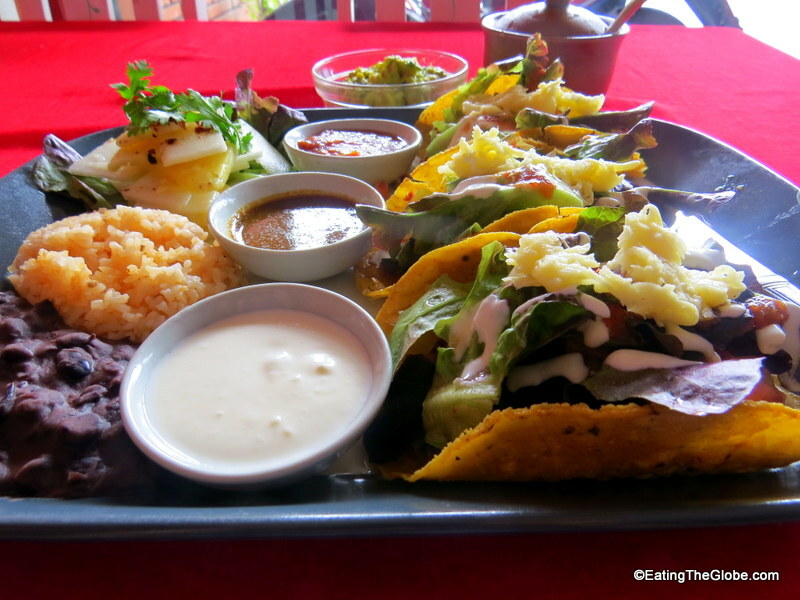 10 Responses to "The Best Mexican Food In Chiang Mai At Salsa Kitchen"
Looks so delicious and at a good price! It’s always interesting to try food in another country putting a little bit of its own style with that of another. Thanks for sharing! Yes, as much as I love Thai food, having variety is great!! Looks great! 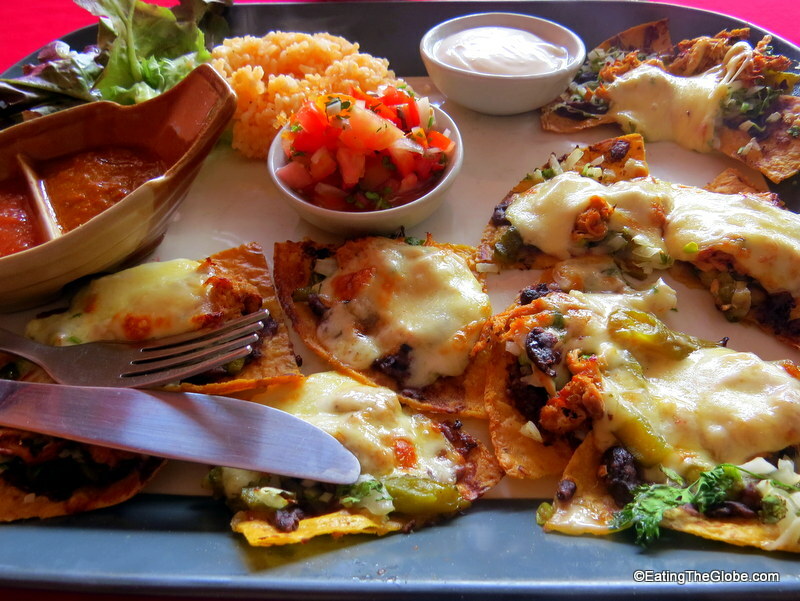 We’ll be in Chiang Mai towards the end of the year and will check it out, always get a craving for Mexican. I remember being very excited when I got to Chiang Mai because there was Mexican food. I am always craving tacos and they are the things I miss the most on the road. This looks like a great find! Me, too!! Mexican food is still my favorite wherever I go! For some reason, I cannot find a good Mexican restaurant in Valencia, Spain… I am happy for you. OK, I think I can come to Chiang Mai now. I have a serious Mexican food obsession! What a FANTASTIC post!!! We always have the hardest time finding mexican food when we are traveling in Asia! 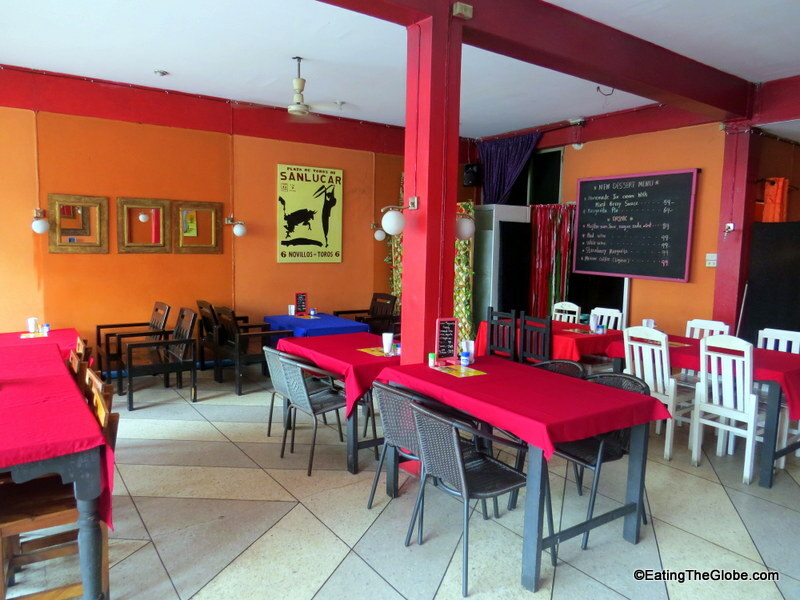 We will be seeking this place out on our return to Chiang Mai this winter. Thanks!! It’s great, and I think you will love it!! I eat there every week..